Wat’s up, yo! So, this guy Derek is doing this thing and I want in! 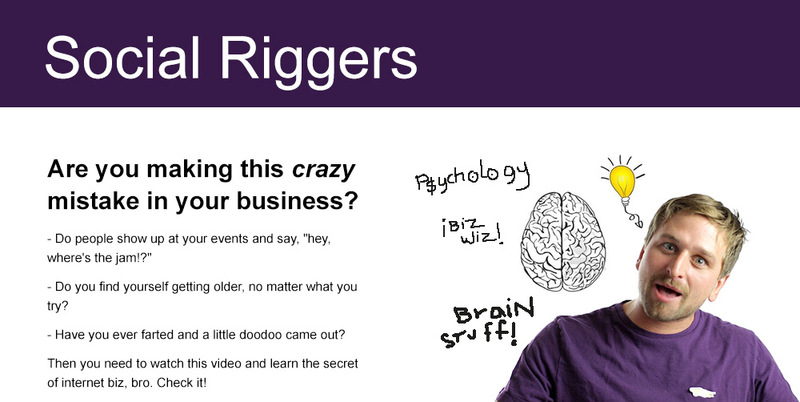 Social Riggers is the home of Herek Dalpern, the online biz wiz. He's like a taxi driver who knows less about world events and more about how to supercharge your biz, kid. Spellchecking outsourced.